Home CDN , children , crafts , feature , February , holiday , holidays , homeschool , papercrafts , printables , US , worldwide February 7th - Featuring Laura Ingalls Wilder Freebies! February 7th - Featuring Laura Ingalls Wilder Freebies! -- Laura Ingalls Wilder was born on February 7, 1867, in Pepin, Wisconsin. She was second of five children born to Caroline and Charles Philip Ingalls. Laura was 65 years old, when she published her first book entitled Little House In The Big Woods. Then she started writing more about when she was a little girl which led to the Little House series. But not all were about her childhood. A weekly television series, Little House on the Prairie, began in 1974 and ran for many seasons. -- A spectacular full-color scrapbook of Laura Ingalls Wilder's life and the Little House books featuring historic family photos, reproductions of original documents, and other special memorabilia. Beloved by millions as the author of the classic Little House books, Laura Ingalls Wilder led a rich life spanning almost a century of American history. She saved many mementos from her past, including early writings, letters, drawings, photographs, and more. Lovingly preserved in private and public collections across the country, these artifacts have been gathered together into this incredible album which will resonate with Little House fans everywhere. • Little House On the Prairie -- Little House on the Prairie, based on the young adult book series by Laura Ingalls Wilder, was one of the most beloved shows on television when it ran from 1974 to 1983. 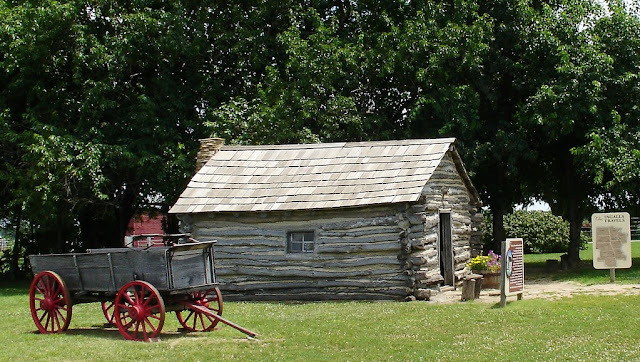 Little House told the story of the Ingalls family's life on a Minnesota farm in the late 1800s. • The Little House -- This nine-book paperback box set of the classic series features the classic black-and-white artwork from Garth Williams. The nine books in the timeless Little House series tell the story of Laura's real childhood as an American pioneer and are cherished by readers of all generations. They offer a unique glimpse into life on the American frontier and tell the heartwarming, unforgettable story of a loving family. - The perfect opportunity to greet your neighbor with a big wave. But, to show your respect and appreciation on this very important day, you must wave with all of your fingers! Without a doubt, this day was created to put a smile on your face, and upon your neighbors. Its intent is to be friendly and create better relations. You should also use the term Neighbor loosely. Go out and greet everyone today with a big five fingers wave. - A great chance to get in touch with a friend. We all lead busy lives. It is easy to let friendship or two lapse, as we try to shuffle kids to and from events. It is hard to stay in touch when workload demands eat up countless hours. Today is the perfect chance to send a card to a friend. A paper card, or an Ecard, is just fine. You may likely find an Ecard is quicker and easier. And, you will save on postage, too. - English social critic and novelist, born at Portsmouth, England on February 7, 1812. Among his most successful books: Oliver Twist, The Posthumous Papers of the Pickwick Club, A Tale of Two Cities, David Copperfield and A Christmas Carol. - Fettuccine Alfredo originated during the 1920s in Rome at a restaurant called Alfredo all' Augsteo. It was popularized among U.S. tourists by restaurant owner Alfredo di Lelio. Though the name fettucine alfredo stuck with Americans, it is unheard of in Italy. Italians most commonly refer to this dish as pasta al burro (with butter) in southern Italy and pasta in bianco (in white) in northern Italy. - Renowned French danseuse Mme Francisquy Hutin introduced ballet to the United States on February 7, 1827, with a performance of The Deserter, staged at the Bowery Theater, New York, NY. A minor scandal erupted when the ladies in the lower boxes left the theater upon viewing the light and scanty attire of Mme Hutin and her troupe.